On January 28th, a fire consumed a mixed-use apartment building on 22nd and Mission. The conflagration destroyed more than 30 local businesses, and displaced over sixty people. Mauricio Orellana, a resident in the building, lost his life. Investigators later found that two escape routes in the building were blocked, sprinklers were missing, and that some tenants did not have fire alarms in their unit. Safety violations and devastating fires are nothing new to this part of the city. Since 2012, over 200 people have been displaced by fires in the Mission. With little affordable temporary housing in the city, finding new housing for residents who have lost homes has been hard. In the aftermath of the fire, some displaced residents moved into a makeshift shelter at the Salvation Army on Valencia Street. In the evening, families gather to eat dinner together. They sleep in the church on small cots that stretch along the space in front of the altar. Rene Carcamo is a Pastor at the Salvation Army, along with his wife Angie. “We had two birthdays, the first two weeks,” Rene Carcamo says. The Carcamo's made sure they were each celebrated, with cake and presents. After a month living in the shelter, most of the residents will be moving on to temporary housing arranged by the city. She says the experience of moving is bittersweet. Though Rodriguez is glad to have her own space again, leaving the Mission is tough. Alas lived in the building with her husband Santos Ortiz, her twenty-year-old son Edwin, and her five-year-old daughter Arianna. Alas didn’t just lose her home, she also lost her job as a chef in a Salvadorean restaurant in the building. There are some nonprofits working to help the displaced families find temporary housing. Like the Mission Economic Development Agency, known as MEDA. MEDA’S policy manager, Gabriel Media, says housing is made possible by a 2011 San Francisco policy known as the Good Samaritan Ordinance. “The Good Samaritan policy is something that allows a home or a landlord to extend their home out to people in a crisis, in a disaster,” Medina explains. But Medina says finding available housing stock to meet the needs of displaced, low-income residents isn’t easy. “This is the most difficult time the city's ever had,” he reports. Medina says the struggle to finding temporary, affordable housing is part of San Francisco’s greater housing crisis. 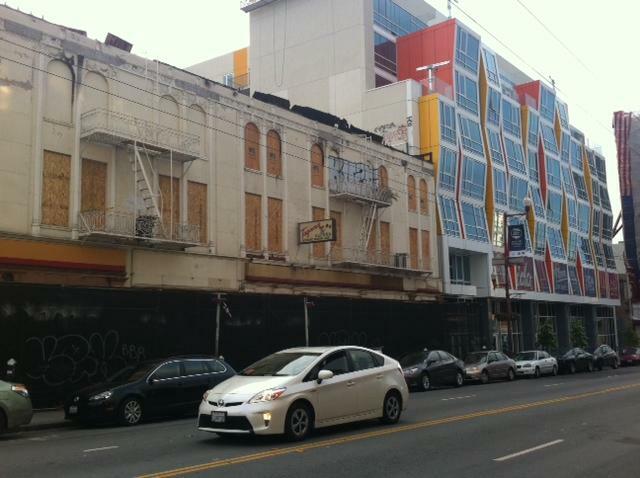 It represents a microcosm of the challenges that many priced-out residents in the Mission face everyday. The residents displaced by the fire do have the right to return to their apartment once the building is restored, at the same rent they were previously paying. Though, in previous instances of disaster, many have not come back. That is because families settle far away, and many were never informed of that right in the first place. But businesses don’t have the same right of return and Medina says that makes MEDA worry that they will never be able to come back to the neighborhood. So MEDA is trying to buy the building to allow everyone to come home; residents and businesses alike. Rene Carcamo, the Salvation Army pastor, is accompanying Ana Alas and her family to their new home in Park Merced. They have just spent four hours in the leasing office, trying to sort through paperwork, with Carcamo translating. 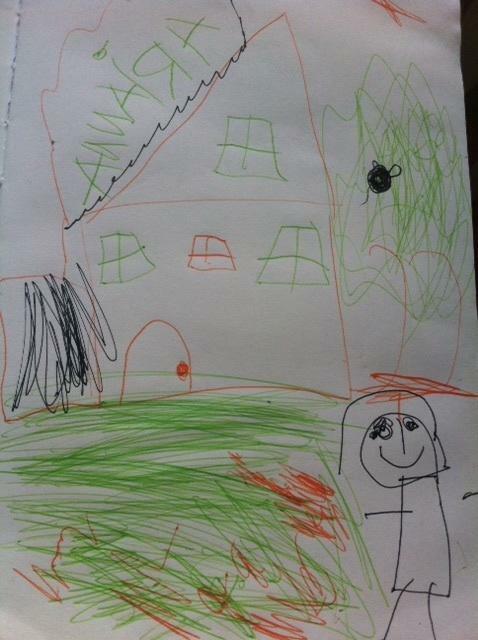 While we were waiting, Alas’ daughter, 5-year-old Arianna, drew a picture in my notebook of a house, with three windows and a tree out front. Ana’s husband, Santos Ortiz, points out a nearby playground to his daughter in his native Spanish. They have never been to this part of the city before. The new home is a white townhouse, near the edge of Lake Merced. Another family from their previous building is moving in too, next door. The father was injured in the fire. When we enter, Ana and her husband seemed stunned, partly because it is a lot bigger than they imagined, and partly because it is just so new. But Arianna is not phased; she runs upstairs and claims her space triumphantly. “Look at my room!” She shouts in Spanish, to her older brother, to her neighbors. “This is my house,” she says to no one in particular, as if it just starting to sink in. Even though they have been given a home in Lake Merced, their whole life is still miles away. They’ll still do their shopping in the Mission. Arianna’s kindergarten is there, as is each one of their jobs, and their friends and neighbors. That means negotiating unknown bus routes -- long ones -- even a different climate. Standing in the white light of his new kitchen, I asked what Santos Ortiz thought of it all. “It’s good,” he says in Spanish. “But I miss my house. I miss my house.” You can hear in his voice how much he means it. We checked-in with Ana Alas and her family to see how things are going, since their arrival in their new home about a month ago. Arianna still goes to school in the Mission, and Alas is still looking for work. At first it was hard to settle in, she told us, but now it feels very much like home.